Always have great service here! 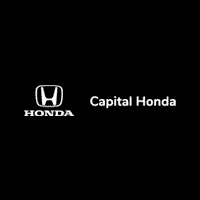 So far so good I would say about my experiences at Capital Honda. I bought a Honda from a private party and have been here twice for routine maintenance. There is a very experienced service adviser named Jim that can explain your vehicle's issues in depth if you prefer. Sometimes I appreciate that. I Haven't dealt with the sales staff (that's another ball game) but overall nice courteous service- so far. For servicing, they were very polite and accommodating. Though, they are out in the middle of nowhere. Despite that, they do give great accommodations to people that are coming in. Awesome help explaining and help financing never had an issue with a single thing clean building friendly staff . Would recommend this place to anyone . Went back for routine maintainance and service is great. Jack is a great guy. The people are friendly, courteous. My car was completed well within the time period that was promised, washed and ready to go when the I arrived. The price was better then the competitors bid. I was driven home and picked up as well! Couldn’t have asked for more! Every time I go in to get my 2009 Honda serviced, I always get great service. Jake always explains things in a way that I can understand. Thank you for making my experiences at your dealership pleasant.